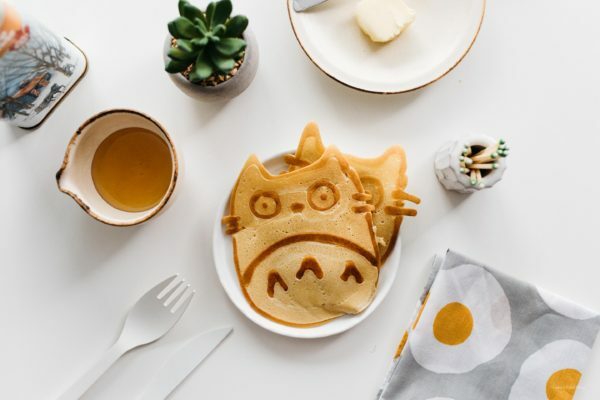 Super easy Totoro pancake art: all you need is pancake batter and a squeeze bottle to make the cutest stack of pancakes you’ll ever eat! 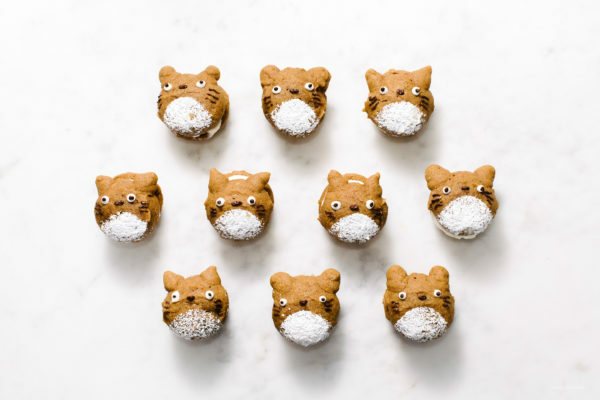 It’s Totoro Week! 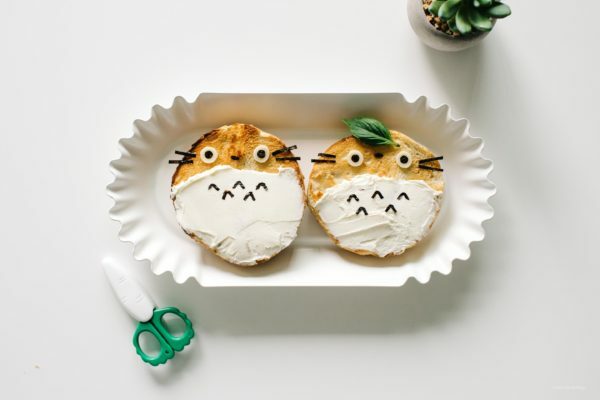 A quick and easy tutorial on how to decorate your very own cream cheese Totoros. 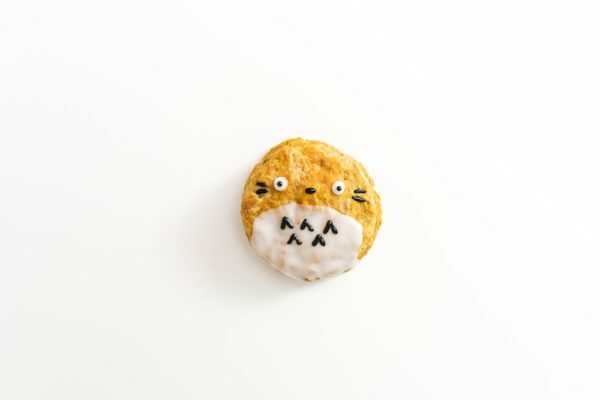 Make yourself the most easy kawaii breakfast ever! 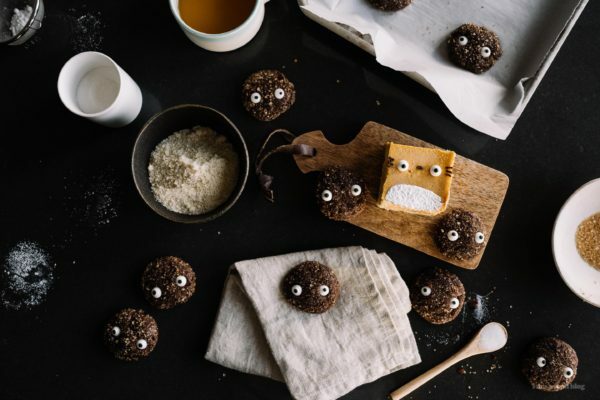 Crisp and chewy gluten free chocolate sparkle cookies with candy eyes so they look just like Totoro soot sprites! 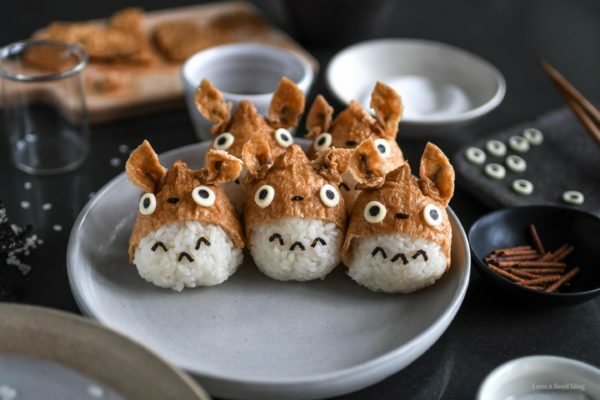 Super cute and tasty totoro inari sushi: vinegared sushi rice tucked inside a deep fried tofu pocket seasoned with dashi, soy, and a touch of sugar. 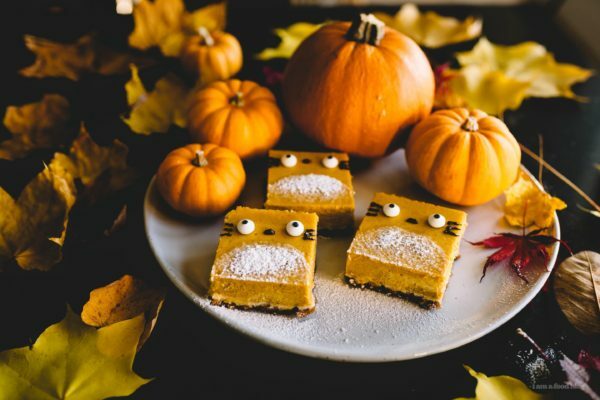 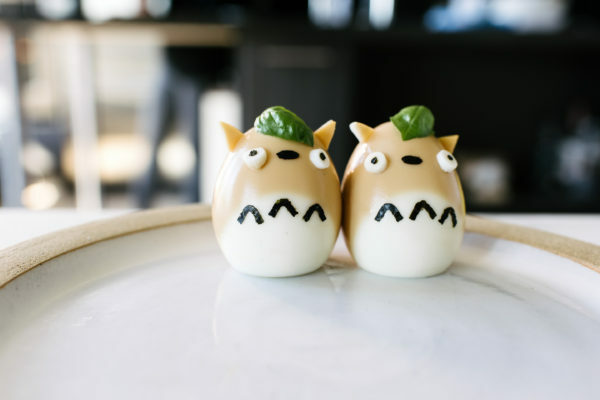 Almost too cute to eat! 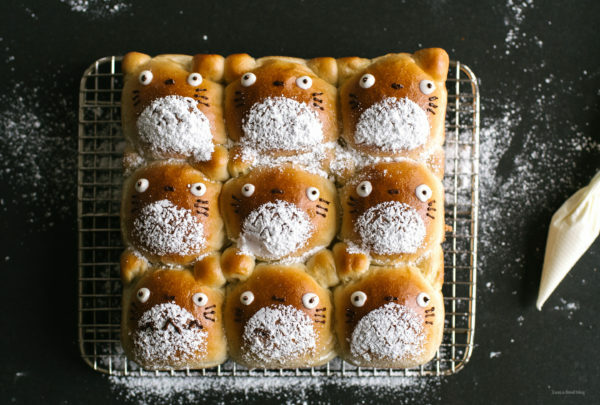 Totoro shaped buns!!! 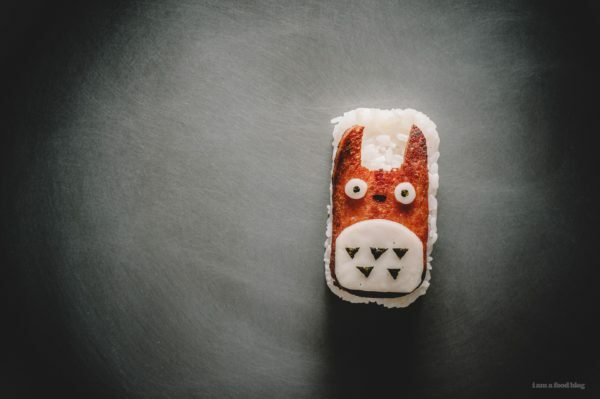 It’s the beginning of Totoro week. 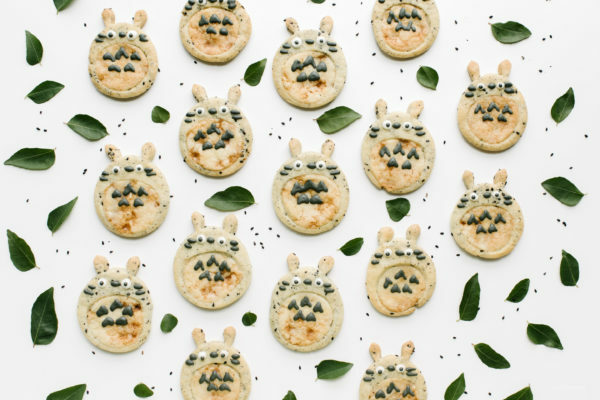 Get ready for all the Totoro shaped foods!